A trauma-sensitive school must have discipline policies and practices to complement traditional behavioral approaches to managing problem behaviors. Many schools across the U.S. have begun to adopt and implement restorative justice programs in schools with promising results. These discipline strategies address the impact of behaviors that cause harm, while also empowering those affected to learn from their experiences and increase resilience. In this webinar, we will provide information about restorative discipline practices, including its guiding principles and several core strategies. 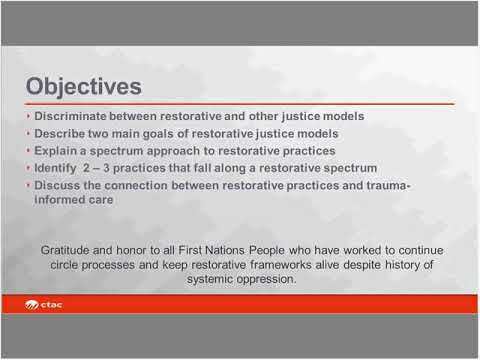 In addition, we will share recommendations and resources for implementing restorative justice in your schools.